Saltwater fish, Engineer Gobies 15" Pair mature to Spawn & Stunning to watch! Live LARGE Red Over Halfmoon (OHM) Male & Female Pair **IMPORT** BREEDING PAIR! wild betta Api Api PAIR wild caught sub adult! GUPPY: Phoenix Delta - PAIR: 1 Male + 1 Female. VIDEO. BREEDING PAIR OF L034 MEDUSA BRISTLENOSE PLECOS - SUPER NICE! BREEDING PAIR OF HYPANCISTRUS CONTRADENS PLECOS! RARE TO FIND THEM IN PAIRS!!! BANANA CANDY GALAXY. Pair. GRADE A+. Gorgeous. 2 clips attachment. GUPPY: Redtail RIBBON - PAIR: 1 Male + 1 Female. VIDEO. GUPPY: Redtail RIBBON - TRIO: 1 Male + 2 Female. VIDEO. 2 Pairs of Magic Black and Blue Guppies 1 month or older. GALAXY KOI BETTA - Pair - GRADE A++. Gorgeous. 4 clips attachment. (3) L032 ANCISTRUS AGUABOENSIS - REVERSE TRIO - BREEDING BUSHYNOSE TRIO! READY! Iridescent Killifish, Aphanius mento Live 2 pairs FREE SHIP! !SALE! BREEDING PAIR GIANT RARE IMPRESSIVE L453 KING ARABESQUE/MOA SHOW PLECOS! Blue Grass / Red Grass Guppy Fry pack! Young fish from blue grass Breeders! NEMO CANDY GALAXY KOI BETTA - SHOWING PAIR - GRADE A+++. 2 clips attachment. 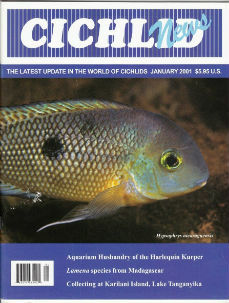 Korneliae Blue Gold Peacock 1.25-2.0 in African Cichlid FREE OVERNIGHT SHIPPING! BREEDING PAIR OF L201 HYPANCISTRUS INSPECTOR! RARE TO FIND THEM IN PAIRS!! !